I am by far not the biggest fan of movies in the horror genre, but ever since I was a kid, I’ve enjoyed the “generic” stories of the “original” four; Frankenstein, The Mummy, The Wolfman and of course Dracula. When this movie came out, I avoided it like the plague because I had heard so many crappy things about it that it just didn’t sound worthwhile to give it a watch. Instead, I found myself sucked in to the story, because it wasn’t a horror movie, it was instead a historical action/drama with a supernatural element to it. I could empathize with the characters and although this isn’t a Braveheart or Gladiator, it was still a compelling movie about love, honor and protecting one’s family and loved ones. This really is an interesting take on the Dracula myth and I liked how it all comes full circle at the end in order to open up the possibility of continuing the storyline. It’s too bad that it seems that this will be the last of the series because the idea to reboot the “monster” franchises of days of old is a great idea. The opening and first third of the film was pretty good and I was buying into it. I thought it got a little dodgy when he killed 1000 men by himself but…. OK…. the rest of the thing wasn’t too bad – that part where someone falls off of the tower was pretty good but there were too many “NOOOOOOOOOOOOOOOOOOOOOOOOOOOOOOOOOOO!!! !” moments for me. Would I recommend it? MEH. It’s better than I thought it would be, for sure, but it’s still a movie about how Dracula became Dracula filled with lots of CGI and melodrama. It’s a better vampire movie than that one Twilight movie I watched. 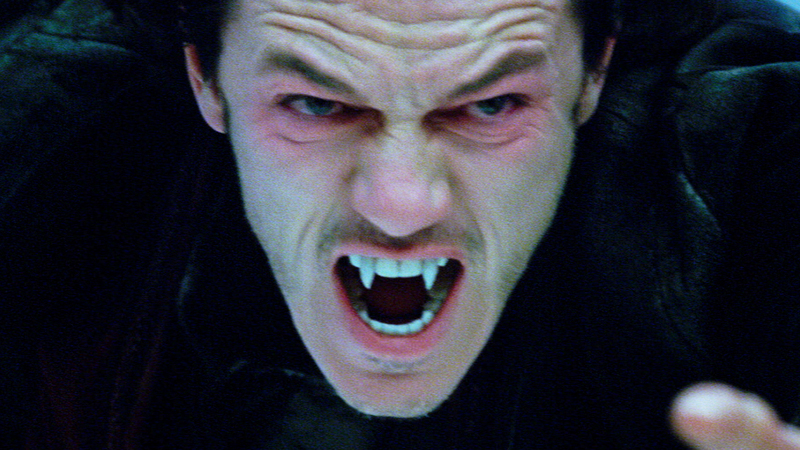 Luke Evans plays Vlad, a fifteenth century Transylvanian prince who was once part of the Turkish army after being offered up by his father as a kind of hostage (like they do in Game of Thrones) as a child. During his rule his kingdom has been at peace with the Turks, mostly by paying them off. When the Turkish king, Mehmed (Dominic Cooper) – or I think he was the king anyway – decides he wants a thousand boys for his army, including Vlad’s son (again played by the kid who played Rickon Stark – he’s everywhere), Vlad cannot bring himself to acquiesce. He’s outmanned and outmatched though so he makes a deal with a vampire (Charles Dance) to receive his powers for three days. If Vlad can stay off the old claret for that time he’ll go back to normal if not he’ll be forever changed and the vampire will be released from the cave he’s imprisoned in. Vlad finds himself almost unbeatable but also tortured by an unslakeable thirst. Will he be able to resist and will it all be enough to hold off Mehmed’s horde? This film was torn apart by the critics, getting the abysmal score of 23% on Rotten Tomatoes. The audience liked it a bit more, but still only gave it 59%, and only slightly better on IMDB, with a score of 6.4. And I truly don’t understand why. I thought it was great. No, it wasn’t Shakespeare, but really now, it wasn’t trying to be! Taken as what it is, a vampire action film, it succeeds very well. 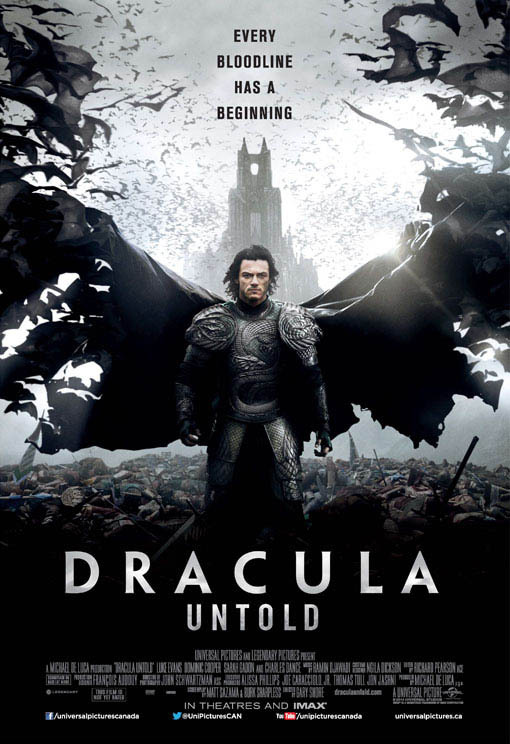 This origin story starts with the same base as a lot of the films, that Dracula was born from Vlad the Impaler, but everything else is rather new, and interesting. Most of the acting was quite good, the action scenes were fun (if a little over-CGI’d at times), and the characters were engaing enough to keep us caring about them. And yes, the two leads were plenty pleasant to look at. I’m a bit sad that then open end took us all the way into the present, I’d have liked another period piece as a sequel (if they do indeed decide to make one), but then again, Dracula films in the present are relatively few, so it’ll (hopefully) be something fresh. All in all, I thought this film was great fun, and it receives an equally great score of 8.5/10. This film isn’t currently on Netflix, but is rentable on On Demand. Enjoy! 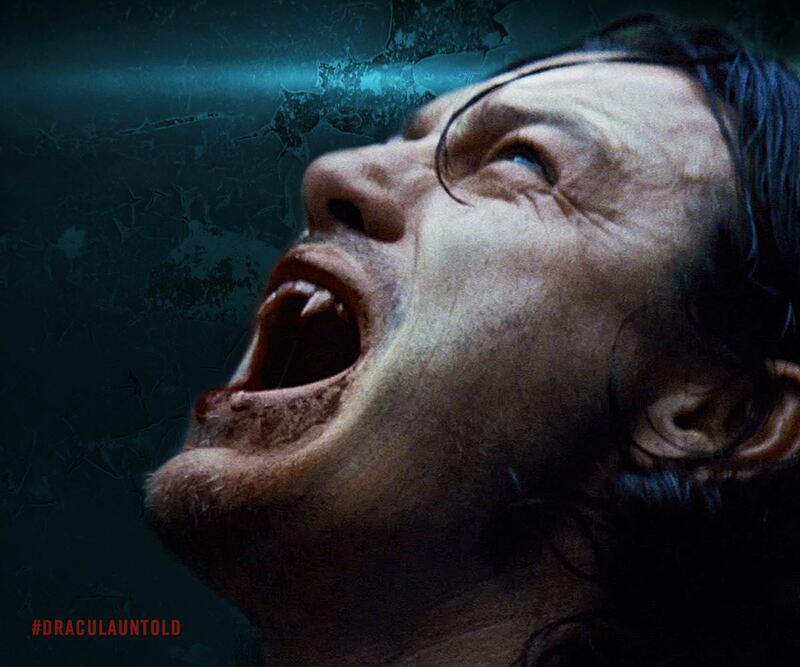 Check out this weeks Review Club over at Vampire Placebo where a few of us give our opinions on Dracula Untold (2014) Tnx Mel! I love the Review Club! Such a great idea. I never actually got around to watching this one (probably because of all the negative scores on Rotten Tomatoes and IMDB) but it looks like it’s worth watching. Great review, all! Ok, maybe I will 🙂 Do you put up the movie on a separate post ahead of time? Sounds good! I haven’t seen that one in a while so I will try and watch it and take part. Thanks! WOOOOOOOOO HOOOOOOOOOOOOO!!! We did it!!! Yay, go team! Although it seems I am alone in LOATHING this one! Yes, I saw that. Sorry you hated it so much! Hopefully #4 will be easier on you, hehe.